I found this book left by someone else in the apartment I was briefly staying at, and it was full of comments written by the previous reader. Comments like "ugh" "lol" and others expressing how much smarter than the author the reader thought (s)he was. Honestly, it made me think the opposite. As for the book itself, Patterson's trademark short chapters worked well here because I never would have read the whole thing otherwise. The action part was fine, but the politics part seemed pretty dull. As I found this book left by someone else in the apartment I was briefly staying at, and it was full of comments written by the previous reader. Comments like "ugh" "lol" and others expressing how much smarter than the author the reader thought (s)he was. Honestly, it made me think the opposite. As for the book itself, Patterson's trademark short chapters worked well here because I never would have read the whole thing otherwise. The action part was fine, but the politics part seemed pretty dull. As for guessing who the bad guys were and what they were doing, it was all pretty clear from the start (including the details that were indended to misguide the reader), as well as the mastermind and the bigger plan behind all this. Some less mentioned figures in the plot were way more interesting than the main ones. Great book .Love James Patterson. Another fast read enjoyed it alot. Also going to read the president is missing, not sure if these two books go together or not. A fast, easy read for a rainy day. Thought it was okay, but felt that the twists were pretty predictable. Just found myself thinking what embellishments they wrote about the White House offices were true.... That thought makes me feel very anxious! Doncha just love those wiley lady assassins? 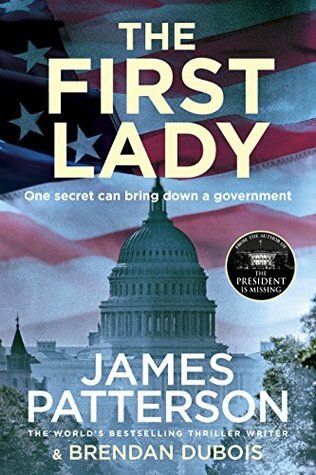 A good thriller, and could be paired with a "missing president," right? Enjoy the imagination of these authors!